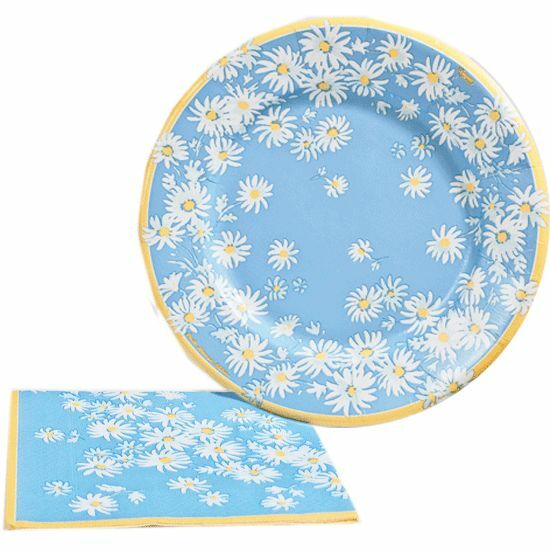 Pretty pale blue paper plates from Caspari with a daisy design, designed by Paule Marrot. 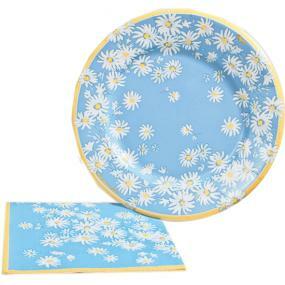 These plates are supplied in a pack of 8 and measure 20.3cm diametre. I haven't used them yet but they look exactly as expected.